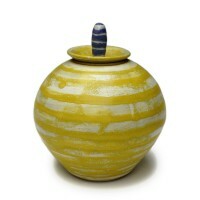 Cookie Jar with spinning top lid. 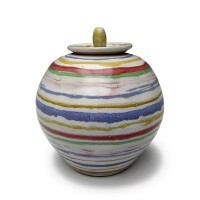 This round jar with spinning lid is decorated with bands of coloured glaze. It is suitable for general food storage as well as home baked cookies. 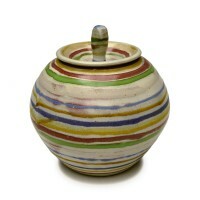 Here is a video showing the lid of the jar being spun.